Chobe National Park is the second largest conservation area in Botswana. It is home to the largest elephant population of any national park in Africa. Chobe is located in the northeastern corner of Botswana. Its northern reaches lie not far from where four countries meet. These countries are Botswana, Namibia, Zambia and Zimbabwe. Chobe offers safari enthusiasts the opportunity to experience the African wilderness and all its majesty from both land and water, in an area where a large variety of different animal and bird species can be seen on a daily basis. In addition to the large elephant population, Chobe is also known for vast herds of buffalo, large prides of lion and the rare African wild dog. Antelope species to keep an eye out for are puku, lechwe, roan and sable antelope. The only member of Africa's Big Five not found in this park is the rhino. Chobe National Park vacations offer quintessential African safari experiences, from sunset cruises on the Chobe River to traditional game drives. A range of exceptional safari adventures to the wildernesses of Botswana. 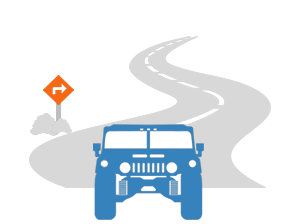 Let us tailor your journey to your specific requirements. No other national park in Africa offers a finer opportunity to view the mightiest of the African mammals. Here you will see vast herds of elephant on a daily basis and you will have the opportunity to gain a first hand understanding of the intricate social behavior in family herds, as well as the struggle for survival all animals face in this harsh, beautiful land. The northern reaches of Chobe, though not overcrowded, do attract quite a number of visitors annually. Once, however, you travel further south to the Savute section of the park, one of Africa's wildest frontiers - which truly seems to stretch into eternity - can be experienced. Here, only a handful of people at any given time can relish a truly remote safari experience in an area that covers thousands of square miles. Chobe and the Okavango Delta are the amongst two of Africa's most sought after safari areas where game viewing can be enjoyed on land or from the unique vantage point of a river, which is especially rewarding during the early morning and late afternoon when many different species come to the water's edge for a drink. River banks also attract birds in great numbers - a fact that enriches the safari experience. Species of antelope indigenous to Chobe that cannot be seen in the national parks of South Africa or Namibia include the puku, lechwe and the regionally rare sitatunga. The rare sable antelope and roan antelope occur in substantial numbers in the northern part of Botswana. Chobe National Park is accessible via Kasane Airport in Botswana ,as well as via Livingstone Airport in Zambia and Victoria Falls Airport in Zimbabwe. Both of the latter two airports are a drive of about an hour and a half from the northern part of Chobe near the town of Kasane. Daily scheduled flights are available between Johannesburg in South Africa and all three of these airports. The duration of these flights are around one hour and forty minutes. Traveling overland from South Africa to the Chobe National Park is recommended only for serious 4X4 enthusiasts. It can, however be an unforgettable experience for those who are well prepared. The road journey would normally involve a night spent just before the South Africa/Botswana border from where it is recommended to overnight near Nata on the second evening before reaching the town of Kasane - the gateway to Chobe - on the following day. Chobe is best visited during the dry season from the beginning of May to late October. During this time, the concentration of animals around the Chobe River increases substantially, and game viewing is optimal. The temperatures prevalent in the area are at their lowest during the months of May, June and July, with chilly evenings and very pleasant daytime temperatures. From August ,the temperatures start rising, with days becoming hotter with each consecutive month. With the onset of the rainy season from late October, game disperses to other areas where fresh grazing is available. Rainfall continues throughout the hot summer months until about the end of April. During this period, the region is hot and humid. These months are, however, the finest time for bird watching in Chobe. The northern part of Botswana is a malaria area and it would be prudent to discuss anti-malaria precautions with you physician. It is also advisable to pack sufficient allergy medication if you are prone to allergies related to dust, pollen and grasses. Botswana is a very safe country with a very low crime rate. Chobe is a vast wilderness with a low human population, where the prospect of petty crime is virtually non-existent. Once at one of the lodges in the region, you are in good hands and you will be very well taken care of. Adhering to the rules and advice communicated by your ranger will ensure your safety while enjoying safari activities in the Chobe National Park. The Chobe National Park's enrapturing experiences are largely based around the Chobe River and taking advantage of its wild spoils. From leisurely sunset cruises to observing herds coming down to the water's edge for drink, you'll find each occasion indelibly memorable. Enjoying a spectacular sunset over the Chobe River while nursing a drink of your choice with the cry of fish eagles and the snorting of hippo providing the background sounds to a most remarkable display, is a moment in time you are not likely to forget. The Savute region in the south central part of the Chobe National Park offers a sense of remote isolation rarely experienced in the modern world. A feeling of being part of this vast wilderness and the multitude of creatures, great and small, that inhabit it. Witnessing a large heard of elephants with youngsters approaching the water's edge, drinking and splashing about with calves often playful and amusing, is a wonderful experience when enjoyed from the safety of a boat just meters away. After arrival at Kasane, Livingstone or Victoria Falls airports, clients are normally transported in air-conditioned vehicles to the lodge at which they will be staying - if this lodge is located in the northern part of Chobe. If the lodge you will be visiting is far from Kasane, clients are transferred to Kasane Airport form where a light charter flight of between 20 and 50 minutes will bring you to an airstrip from where a short drive in an open 4x4 game drive vehicle leads to your lodge. Once at your lodge or camp, daily transportation will consist of game drives in open 4x4 vehicles and specially adapted game viewing boats. Vetkoek is a type of deep-fried bread made of cake flour. Vetkoek is a local favorite that can be eaten as is or it can be filled with beef mince, or spread with butter and jams. Samp is a food that consists of dried corn kernels that have been stamped until broken, but not fine. It is then cooked in salted water and served as a starch with fish or meat dishes. Chibuku is a sorghum beer brewed in Botswana. The ingredients of this local favorite include sorghum, maize as well as millet. The alcohol content ranges between 0.5 and 4 percent. St Louis Lager is Botswana's only locally produced lager beer. It has been in production for 50 years and is well worth a try on a sunset cruise or on one of those hot Chobe summer afternoons. How far is Chobe from the Victoria Falls? The northern part of Chobe and the town of Kasane - which is the gateway to the northern Chobe National Park- is a drive of about one and a half hours from both the towns of Livingstone in Zambia as well as the town of Victoria Falls in Zimbabwe. These two towns lie on opposite sides of the Zambezi River, with the mighty Falls very close to each town. Which are the main safari areas in Chobe? The three main safari areas in the Chobe National Park include northern Chobe not far from the town of Kasane, the Linyanti Swamp tucked away in the northwestern corner of the park and Savute, situated in the south central part of Chobe. Each of these areas is distinctive in character and each offers amazing wildlife experiences. It must be noted that to reach either Linyanti or Savute will require a light charter flight from either Kasane or Maun. If you are staying in the northern part of Chobe near the town of Kasane, access to the internet will be readily available. If, however, your safari takes you to the Savute or Linyanti areas, there will be no internet connection nor mobile phone coverage available. Do I need to take malaria medication? It is advisable that you discuss the options with your doctor prior to your visit. Can I view animals at night? Traversing during the hours of darkness is not allowed in Chobe. If you are intent on nighttime game drives, the Kruger National Park in South Africa should be considered. Which is the best airport to use when visiting Chobe? 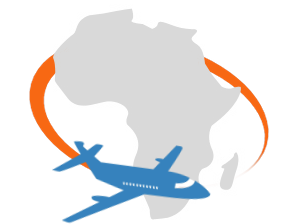 Though Kasane Airport is the most convenient, the frequency of flights to Livingstone and Victoria Falls is much greater. Flying to one of these two towns also makes a visit to the Victoria Falls possible in combination with your safari to the Chobe National Park. What are the most common species of wildlife seen in Chobe? Elephant, Cape buffalo, waterbuck, blue wildebeest, impala, red lechwe, zebra, hippo, crocodile, lion, leopard and African wild dog. Will shops be available during my visit? Only if you are staying at a lodge in northern Chobe near the town of Kasane. Which languages are commonly spoken in the region? English is the only European language commonly spoken in the region, in addition to the native languages. What other safari areas in Botswana are recommended? The Okavango Delta and the Makgadikgadi Pans are two other areas well worth visiting if you are traveling to Botswana. South Africa is an exceptional African travel destination, rich with adventure. Botswana offers a wealth of wilderness areas to choose from for your safari. Travel to Namibia for incomparable star gazing and unique safari activities. Zambia is known for its remote safari areas and the occurrence of Vic Falls. Travel to Zimbabwe to savor a glimpse of the world's largest waterfall. Mozambique is known for its stunning beaches and pristine coral reefs. The first inhabitants of the area where Chobe National Park is now located were the Basarwa people - descendants of the San Bushmen. Examples of their rock art can still be viewed on some of the rocky hills scattered throughout Chobe. During the 1930's, the British High Commissioner visited the Chobe River and recommended that the region become a wildlife conservancy, following the example of the Kruger National Park which had already been established in South Africa. Subsequently, an area about a third of the park's current size was proclaimed a non-hunting area. In 1960, the Chobe Game Reserve was created. It received official national park status in 1967. At this time, several commercial ventures, mostly related to the timber industry, were still located inside Chobe. These where moved outside the park's boundaries by 1975. Chobe has since established itself as one of Africa's most prolific national parks dedicated to conserving vast herds of common mammals as well as a number of rare carnivore and antelope species. The park consists of four distinct areas. These are Chobe River frontage and Serondela in the northern part of Chobe, the central area around Nogatsaa and the pans found here, the Savute area that includes the Mababe Depression as well as Linyanti. The river and its floodplain that form the border between Botswana and Namibia attracts great concentrations of game during the dry season. The riverbank is lined by ancient trees which offer shelter to many bird species. The marginal floodplain between Kasane and Serondela is largely covered in dense groves of fever berry and woolly caper bushes. This region of the park is located roughly 70km (42 miles) south of Serondela. The region is characterized by grassy woodlands surrounding a number of pans. These pans hold water for a period of several months after the first rains have fallen. Most notable of the pans in the area are Namuchira and Tchinga. Both of these attract elephant breeding herds from August to October. Savute is one of Africa's finest wilderness regions. The annual zebra migration passes through this area, affording the opportunity to view thousands upon thousands of these mammals and the lion prides that prey on them. The Savute Channel started flowing a few years ago after a dry spell of almost a quarter of a century. It flows into the Savute marsh, providing a limitless supply of water and rich pastures in this otherwise arid landscape. Linyanti lies in the furthest north western corner of the Chobe National Park. It resembles the Okavango Delta in many respects. It covers an area of roughly 900 square kilometers with reed-lined channels, islands with ancient trees and lagoons dotting the landscape. The area is a haven during the dry winters months when game is plentiful and bird-life almost astounding. Though not as diverse in species as the Kruger National Park, the herds encountered in Chobe are normally much larger. Elephants, especially, can be seen by the thousand throughout the region. These large pachyderms have a substantial impact on the environment and have thinned out the dense thickets along the banks of Chobe River. Each fully grown animal requires roughly 150kg of fodder on a daily basis. Buffalo, wildebeest and zebra can also be seen in large numbers, as can impala. Notable antelope species in Chobe include sable, roan, kudu and waterbuck. The rare puku and Chobe bushbuck can be seen almost nowhere else in Botswana. The small oribi and Sharpe's grysbok are other species rarely seen in the other national parks of Southern Africa. Predators that are quite common in the park include lion, leopard and African wild dog. Cheetahs can often be spotted on the park's open landscapes, where their speed can be utilized to full advantage when hunting. Smaller cat species like serval and caracal, though not regularly spotted, maintain healthy populations in the Chobe National Park. A number of activities, mostly focused on experiencing the wildlife and natural beauty of Chobe, are available to visitors. In addition to these nature-based activities, a few cultural experiences can also be enjoyed in the region. Conducted in the park by one of the lodges near or in Chobe, these drives are interpretive in nature and are accompanied by a local ranger and tracker. This is an ideal way of coming within close proximity to the animal and bird species that inhabit Chobe. Game drives are normally conducted during the early morning and the late afternoon. The duration of these excursions would typically be between three and three and a half hours. The signature wildlife activity in this region involves game viewing from specially adapted small boats. It offers visitors a unique way of observing the wildlife along the banks of the river. These boat safaris are offered during the morning as well as in the late afternoon. It is the author's opinion that late afternoon boat cruises are best, for more animals come to the water's edge during this time. It also has the advantage of a unique vantage point as the sun sets over this remarkable wildlife haven. 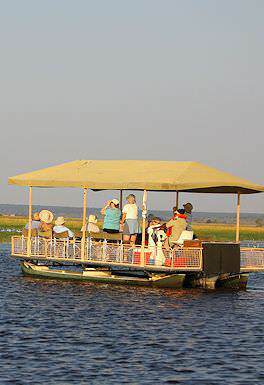 A few large river boats offer cruises of varying length devoted to exploring the Chobe and Zambezi rivers. The confluence of these rivers is near the town of Kasane. The Zambezi Queen is recommended for those wishing to experience this part of Africa from a riverboat. Two daily game activities are conducted from the boat. Chobe has, in recent years become a very popular fishing destination, with 90 species of freshwater fish to be found in the wide stretch of the river near the town of Kasane. But it is the tiger fish, Africa's greatest freshwater fighting fish, that attracts more international anglers to the Chobe River than any other fishing pursuit. Bush walks are conducted from almost all of the lodges in the area. These walks offer a unique way of viewing the wildlife in the area in a quiet and discreet manner. The walks are always accompanied by skilled rangers who are experts in interpreting animal behavior so as to ensure the safety of safari enthusiasts when potentially dangerous animals are encountered. The mighty Victoria Falls can be explored on a day trip from the northern part of Chobe. It is recommended to all that visit the region to dedicate a day to the exploration of one of the world's grandest natural wonders. The Okavango Delta is Botswana's most sought-after safari destination and offers ample opportunity for adventure. Chobe National Park is Botswana's third largest national park and a fantastic destination for your safari in Africa. The Makgadikgadi Pan is a startlingly unique safari destination, less about game viewing and more about the rare scenery. The Central Kalahari Game Reserve consists of leagues of semi-desert and grasslands, stretching over an eleventh of Botswana's surface.